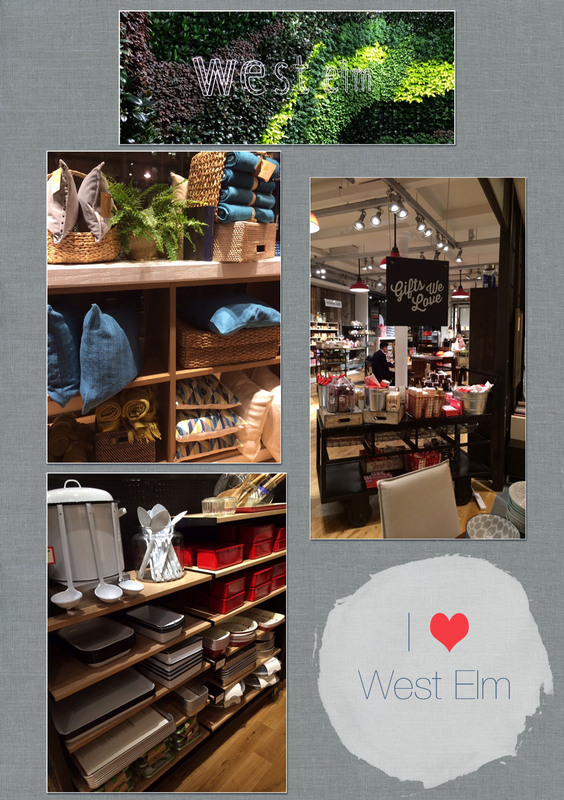 Well, another wonderful store from home has arrived in London: West Elm! It has been on my “To Visit” hit list for awhile now and today we did! I am a huge Williams-Sonoma fan, and to have this little piece of them in London is fantastic! Now, if we could only get a Williams-Sonoma store and Pottery Barn here that would be even better! We were taking the day as it came and attempted to go to a photography exhibit that was fully booked, so we decided to let our feet take us in a shopping direction instead. First to Anthropologie to do a bit of present buying and then a trip down Oxford Street with West Elm being our last stop. It is beautifully laid out. As per usual my favorite section was the kitchen area. I walked away with a Lodge cast iron skillet and a beautiful shiny Nordic Ware professional kitchen loaf pan. Mr. Michie was happy as I set him up in the coffee shop, he quite happily drank a, in his words, perfect flat white and perused the internet on his phone. Knowing he had made camp and was smiling, meant I could truly relax and enjoy a bit of shopping. Now, he is amazing, I have to say, I am really lucky because he does enjoy shopping and never minds how long I take in a store. But, I never want to take advantage of that generosity, so knowing that I had left him with a good cup of jo and a cozy place to sit and that he was happy, made me very happy! First things first, I plan to try a recipe in this new cast iron skillet of mine that I saw on the lovely How Sweet Eats blog, it is a brussels sprout and bacon cast iron skillet pizza. I think we will be making the pizza sans brussels sprouts, it is the concept that I like. So I think tomorrow’s date night is planned, we just have to pick a good wine! Thank you for coming to London, West Elm! You have made this girl truly HAPPY! This entry was posted in Life and tagged Anthropologie, happiness, How Sweet Eats Blog, london, Mr. Michie, shopping, West Elm, Williams-Sonoma on February 20, 2014 by jennifermichie.